NIFT Result 2020: After completion of the examination, the result will release online. The Candidates who will take the examination shall be able to check NIFT Exam Result using the link available in the article. NIFT UG Result and NIFT PG Result will release separately. After appearing in the exam check the website regularly in order to get the updates. 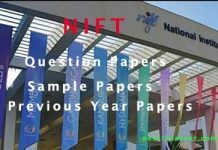 No candidate will receive the exam result of NIFT either through email or post. Check information about NIFT B.Des. Result, NIFT M.Des. Result, NIFT B.F.Tech Result as well as NIFT M.F.Tech Result. Those who will take the test will be able to check the NIFT 2020 Result after a few days of the exam. It is important to pass the pass so that one can get the call for the next stage. Candidates whose NIFT B.Des. Result 2020 will be successful will get the call for the second test called Situation Test. After GAT, NIFT B.F. Tech Result will be final for those seeking admission in B.F. Tech. For M.Des. candidates will appear in GAT and CAT. For M.F.Tech and MFM, candidates will appear in GAT only. Those candidates for whom NIFT M.F.Tech Exam Result, NIFT M.Des. Result 2020 will be successful will get the call for Group Discussion/ Personal Interview (GD/ PI). This section will guide the candidates to check NIFT Result 2020. Candidates who are not familiar with the online procedure can refer to this section. While downloading NIFT 2020 Exam Result make use of correct details only. The information such as Application/ Registration Number and Password/ Date of Birth is important. 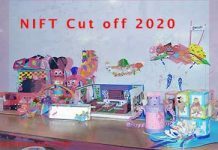 Further, read the step by step process to download the result of NIFT 2020 below. Visit the official website or click on the link which shall be available here later. Then click on the link to check NIFT Result. After that fill the information such as Application/ Registration Number and Password/ Date of Birth. Further, the result will appear on the screen in PDF format. Check the information available in the result carefully. Candidates who are seeking admission in any Masters Programme will go through Group Discussion and Personal Interview. For that, it is important to pass the written entrance examination so that they can undergo Case Study based Group Discussions (GD) and Personal Interview (PI). NOTE: In case of equal scores of two candidates, the older candidate (as per date of birth) will be given preference. Previous articleNIFT Answer Key 2020 – Download Official Answer Key Here!! NIFT Answer Key 2020 – Download Official Answer Key Here! !